NEW BRITAIN - The New Britain Bees continue to shape their roster as Opening Day draws closer. The team announced the signing of three more former MLB players on Tuesday, adding infielder Alexi Amarista and pitchers Zach Stewart and Jed Bradley. Stewart pitched for the Bees last season. 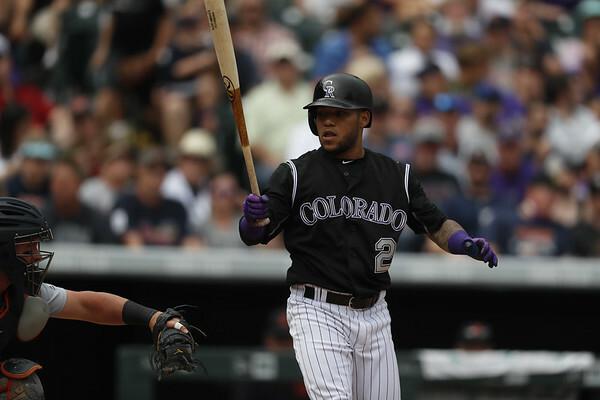 Amarista, who turns 30 in two weeks, comes to the Hardware City with a wealth of major league experience, having played seven seasons in the big leagues for the San Diego Padres, Los Angeles Angels and Colorado Rockies, most recently in 2017. Amarista played both the outfield and infield as a major leaguer, but saw the bulk of his experience at shortstop, and even had an appearance on the mound back in 2015, when the Padres were being blown out by the Oakland A’s. Amarista was a career .231 hitter with 21 home runs in the majors and holds a minor league career batting average of .305 with a .786 OPS. He most recently spent time split between Triple-A Lehigh Valley of the Philadelphia Phillies organization and Quintana Roo of the Mexican League last season. Bradley arrives to New Britain with major league experience as well, having appeared in six games for the Orioles in September of 2016 after rosters expanded. Bradley was 1-1 with a 5.14 ERA in that abbreviated stint and last pitched in 2017 in the O’s minor league system, splitting time between Double-A Bowie and Triple-A Norfolk, allowing 13 earned runs over 12 innings pitched. Stewart will be making his return to the Atlantic League and the Bees after posting a 6-3 record with a 3.42 ERA and 42 strikeouts over 68.1 innings last season, before his contract was purchased by the Toronto Blue Jays. Stewart finished the season in Triple-A Buffalo, tossing 34.1 innings and finishing with a 4.98 ERA. Originally a third-round draft pick of the Cincinnati Reds back in 2008, Stewart was part of the deal that sent Scott Rolen to the Reds and Edwin Encarnacion to Toronto. The Bees, who finished third in the Atlantic League in ERA last season, now have two arms with major league experience ready to go for Opening Day on Apr. 26. Posted in Newington Town Crier, New Britain Bees on Tuesday, 19 March 2019 21:13. Updated: Tuesday, 19 March 2019 21:15.